And it's even prettier on the inside than outside. This house is opposite the beautiful old red brick St. Aloysius Church and the lovely tudor they call "the Math House". Sited back from the road, this house enjoys tranquility and peace not usually found in the downtown. 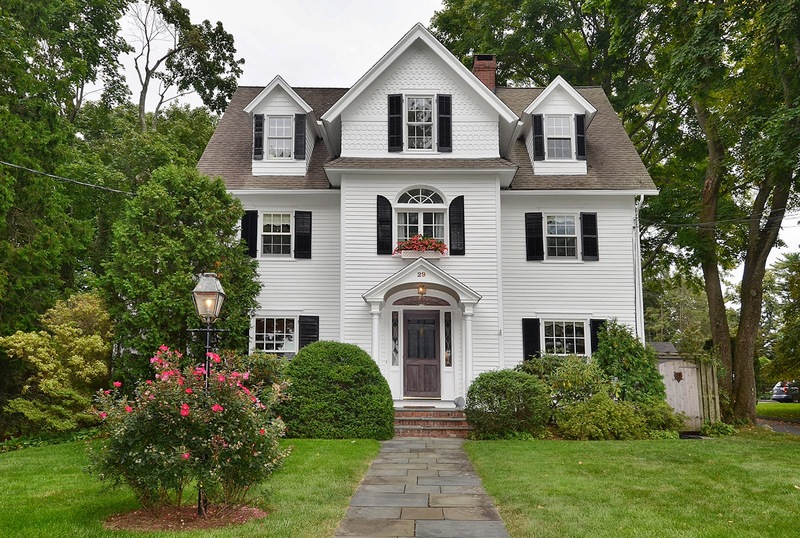 Many of us imagine ourselves one day downsizing from that big house in the country to the ease of condo living downtown in New Canaan where we can walk to the restaurants, shopping and the train. 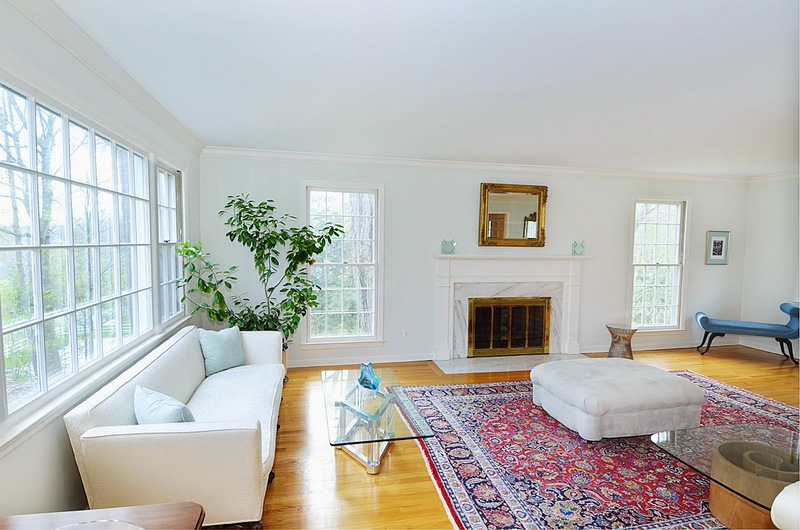 But, most of the condos in New Canaan were built between 1968 and 1980 and so many of the condos in town lack the style and sophistication of some of the house we are leaving. I think that is what makes this condo so special. This has all of the charm of a beautiful antique house, and the spacious gardens, but without the maintenance headaches of an older home. Inside, note the arched doorways. 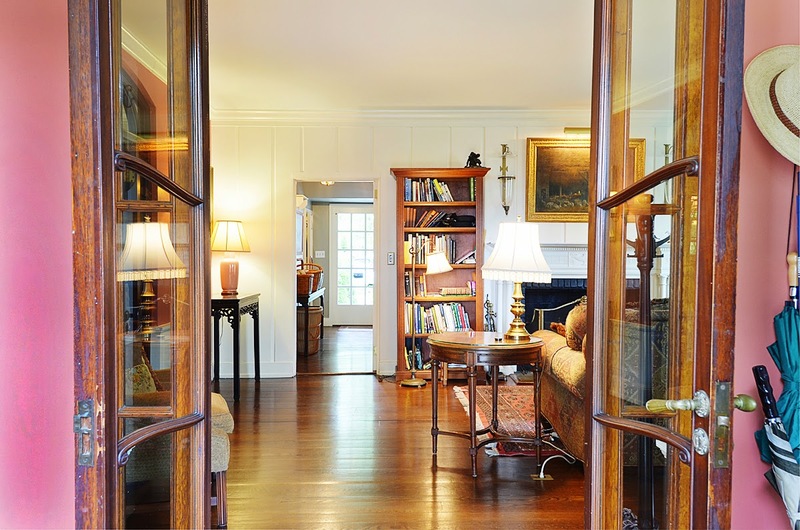 Note the woodwork around the original French doors. 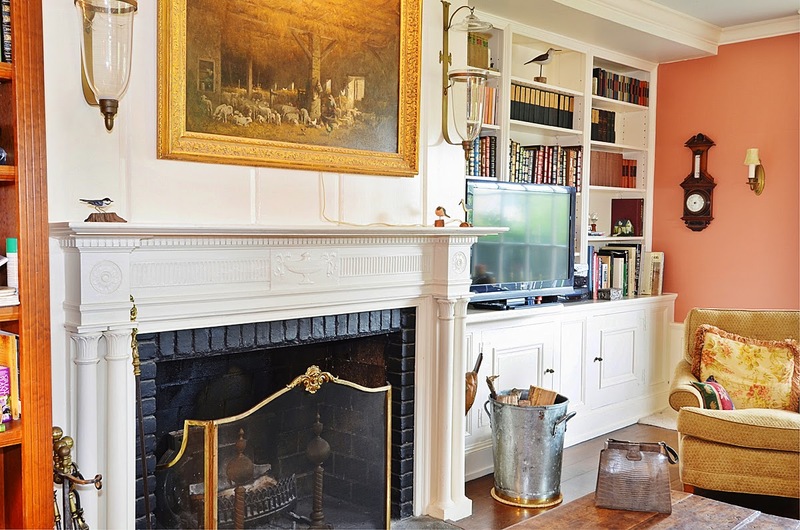 Note the U.S. Grant-style fireplace, the built-in bookcases and the wide-board floors. All of these architectural details combine to give the feeling of refined elegance and hand-crafted detail not found in today's condominiums. 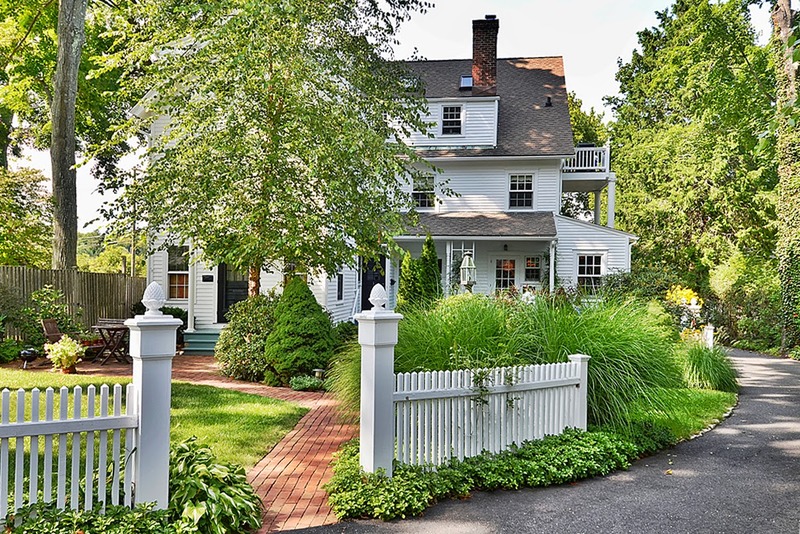 To arrange a showing call 203-247-5999 for Susan or 203-247-4700 for John. This is the American Dream, right? At least, it was for a lot of us growing up. Remember, for awhile I lived in Manhattan and we moved out to New Canaan when I was 12 to a pretty little antique on a quarter acre. 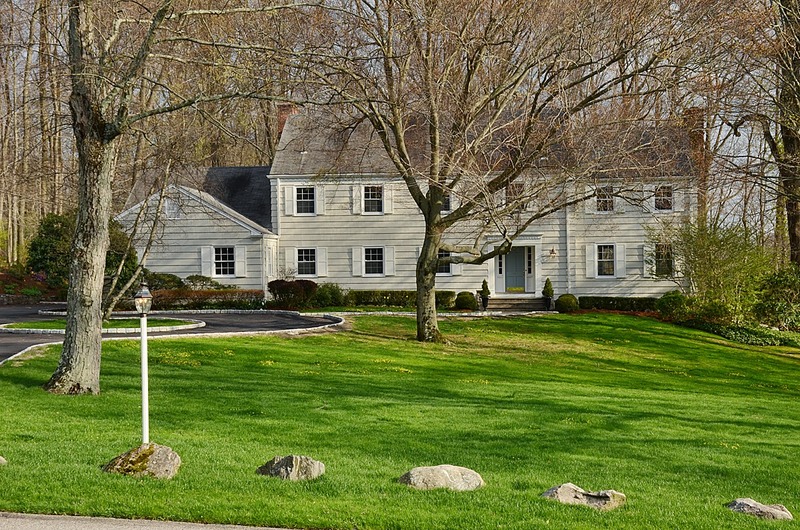 This five bedroom colonial with about 2 acres of flat land on a sunny cul-de-sac full of kids. Ride your bike down to the circle. Barbecue on the flagstone patio in the back. Wait on the covered front porch for the bus to pick you up in the morning. It's all here. Inside, there is a drop-down living room that means extra height for the ceiling and windows. Very nice. White marble surround on the fireplace. Bright hardwood floors. Views of the spacious backyard and woods beyond. Maybe I am biased, but I've been really excited to work on selling this listing. I know this is what everybody wants. People who move to New Canaan often want to be close to the village, but not so close that they hear the garbage trucks and the train whistle. They want a little bit of land, and preferably flat. They want to be on the West side because they think it's going to shave a few minutes off of their commute to New York City. This house is the whole package. 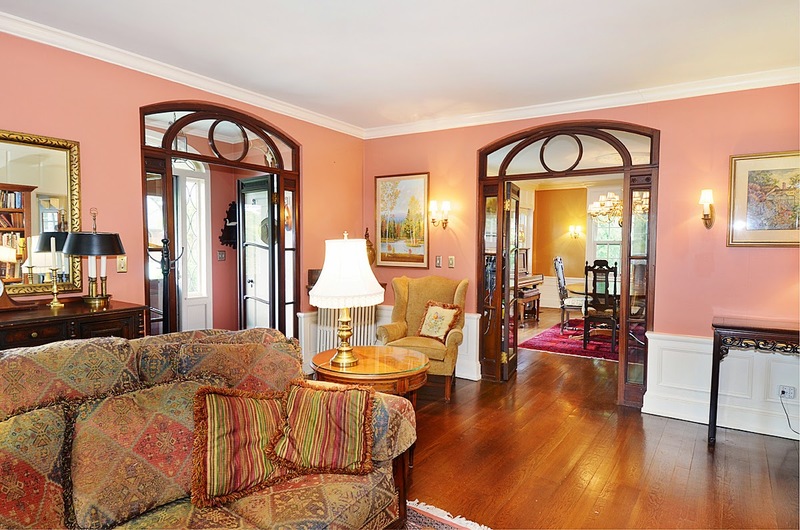 For more information go visit http://www.106DunningRd.com and look at all the pictures and read up about this house. Then, make an appointment with either John Engel (203) 247-4700 or Susan Engel (203) 247-5999 to come see it. You don't want to let this one get away. Offered by John Engel and Susan Engel for $2.250 million.